Cucumbers belong to the Curcubitaceae, or gourd, family. They are believed to be native to India and have been cultivated in western Asia for about 4,000 years. Eventually the succulent vegetable spread to the Mediterranean and was especially beloved by the Romans who introduced it to the rest of Europe. The Spanish then took cucumbers to the “New World” and today cucumbers are a global crop. The Romans not only cultivated the cucumber, but also grew them in greenhouses so that Emperor Tiberius could enjoy them out of season. It is said that he ate cucumbers every day of the year and along with Julius Caesar was also a huge fan of pickled cucumbers. Pickling of course is a great way to preserve your crop for out of season use. Cleopatra is said to have credited pickles for at least some of her beauty. Other famous pickle lovers include George Washington. Napoleon Bonaparte, and Elizabeth I. In some parts of the world cucumbers are known as gherkins. It is thought that this derives from the Persian word for cucumber "angahara" but in many instances a “gherkin" is synonymous with a pickled cucumber. During the 1600s many people in England developed a dislike of fresh, uncooked vegetables. They thought that if the vegetables were not cooked they were no better than food for animals. At this time the cucumber gained the nickname of “cowcumber" and even when fresh vegetables regained popularity the cucumber remained unpopular for some time because of the nickname. Today however, cucumbers have regained their popularity and are a global vegetable favorite. Cucumber does not have the healing reputation of more celebrity vegetables like broccoli but it is actually a healthy food. 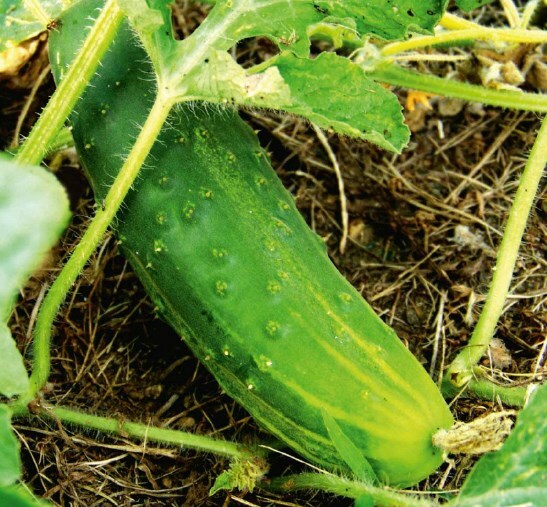 While it is refreshing due to its high water content there are still plenty of valuable nutrients in your humble cucumber. Cucumbers are a valuable source of conventional antioxidant nutrients including vitamin C, beta-carotene, and manganese. In addition, cucumbers contain numerous flavonoid antioxidants, including quercetin, apigenin, luteolin, and kaempferol. In animal studies, fresh extracts from cucumber have been shown to provide specific antioxidant benefits and to reduce inflammation. Although the juicy flesh inside is tempting, don't simply assign the skin of your cucumber to the compost. 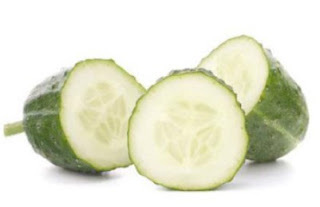 The cucumber skin is actually an excellent source of the mineral silica which contributes to the strength of connective tissues in your body. This connective tissue is the structure that provides a framework for your body and includes muscles, tendons, ligaments, cartilage, and bone. Juice of cucumber, including the skin, is often recommended to improve the health and appearance of the skin since connective tissue like collagen is necessary to give skin its structure. This is why you may see someone with cucumbers rings resting over their eyes. Whether the silica is absorbed through the skin in great enough quantity to be of any benefit remains to be proven. In the meantime you can eat your cucumbers, skin and all, and receive an antioxidant and silica boost that won’t do your skin any harm at all. Pickling is a process than can be used for many different foods, it is not limited to cucumbers although cucumbers are a favorite and make the archetypal “pickle". In general, pickling refers to a preventing food spoilage by soaking in a liquid and/or fermenting. There are two basic types of pickles: fermented and non-fermented. Fermenting is a process in which fresh foods (in this case; cucumbers) are allowed to soak in a solution for an extended period of time that allows microorganisms to make changes in the food. Among these changes is a build-up of lactic acid that serves to protect the pickles from spoilage. When fermented in an appropriate solution, fresh foods like cucumbers can be transformed in a way that greatly increases their shelf life. Cucumbers are usually fermented in brine (water that’s been highly saturated in salt). As well as salt, pickling brines often contain other ingredients, including vinegar, dill seeds and garlic. "Dill pickles" get their name from the addition of dill seed to the brine. If waiting for fermentation is too much for you, you can do a quicker version that involves a lot of vinegar. In this instance it is the vinegar that prevents the pickles from spoiling, not a build-up of lactic acid through the microbial fermentation process. This quicker pickling, made using vinegar, can be accomplished in a matter of days. Pickling by fermentation usually takes a minimum of several weeks. When to plant: Available as seedlings or sow direct into the ground. A tip is to press four to five seeds in a mound — to help with drainage — and later thin to the two strongest plants. Seeds germinate best at 20°C. Avoid frosts in cool climates so plant during warmer months, and in tropical and subtropical regions much of the year.. Climate: Frost sensitive, subtropical species. Specific needs: Likes well-drained, fertile soil so prepare with well-rotted manure. To avoid bitter fruit water regularly at plant base while growing and producing. It is a ground covering or climbing vine, so try planting vines among larger crops such as com or train on a trellis to save space. If growing along the ground, mulch with straw to help retain moisture and keep fruit from sitting on the soil. Harvesting: Takes about 8 weeks. Prolific bearer so pick regularly to encourage fruiting over a long period. Best to cut fruit from the vine.